Over-the-knee boots become especially trendy in the Fall and they can give any of your outfits more style and pizazz. 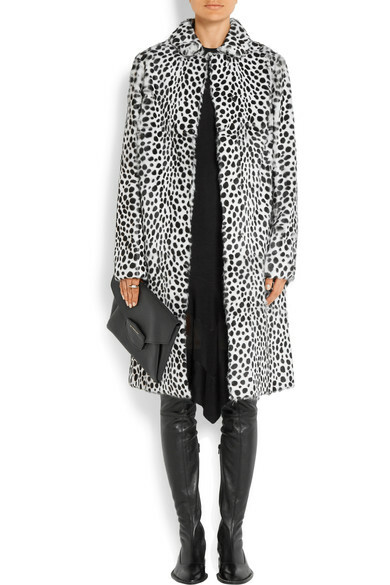 Below are 10 over-the-knee boots from one of our favorite retailer, Net-a-Porter. 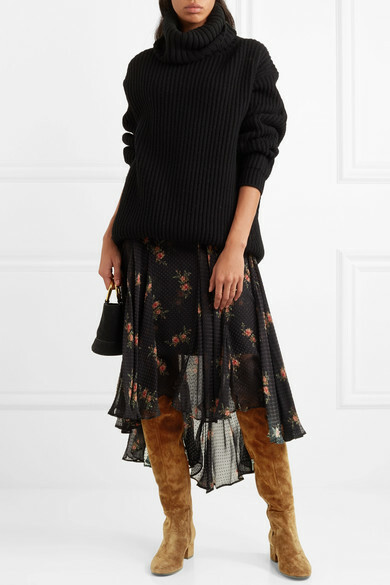 See By Chloé over-the-knee boots are plush suede boots. 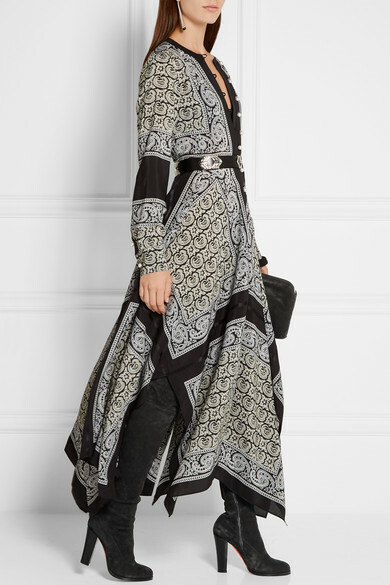 The slouchy silhouette style was inspired by riding boots worn by villagers in Russia. The boots come with gold studs and also have a back split that can be adjusted to give the boots a comfortable fit. This chic and elegant style is accentuated with a pair of sleek over-the-knee boots by Gianvito Rossi. These velvety suede boots will give your outfit an Italian flair and all-day comfort with a low block heel that will make it easy to strut around all day long. Givenchy’s boots are deemed to be a must-have this season. These boots are meticulously crafted in Italy from smooth stretch-leather. If you are trying to achieve a femme fatale or cat women image, these boots are sure to help you with that look. Get ready to elevate your style with the shiny leather and sleek silhouette. This chic runway look is accentuated with Amazone suede and leather over-the-knee boots. These boots actually go thigh-high and are beautifully made from suede for a skin-tight fit. They are finished with a sharp, leather-trimmed pointed toe. For an elegant finish, the gold stiletto is a Balmain brand signature that will make it easy to accessorize these boots with some of your favorite jewelry. 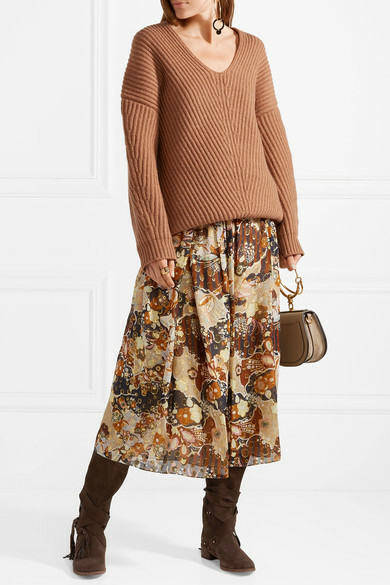 These buttery brown suede over-the-knee boots are from Gianvito Rossi’s and have been made in Italy. They are the perfect height for midi dresses and skirts. These elegant boots are set on a sturdy block heel and have a smooth leather lining with concealed side zips. You will be able to easily and quickly slip them on and off as you decide on your outfit for the day. The ‘Halftime’ boots from Stuart Weitzman’s offer a supple black suede front and a stretchy crepe panel at the calf. These boots are perfect for busy days. They provide all-day comfort with a 65mm block heel and an almond toe. The ‘Verusch’ boots from Christian Louboutin are made in Italy using velvety black suede. These boots ride mid-thigh and are designed for a second-skin fit. Whether you choose to wear them with a maxi dress or a mini skirt, they are sure to elevate your outfit to Italian chic. Nicholas Kirkwood designed these intricate and surprisingly delicate over-the-knee boots. The ‘Casati’ boots are crafted from supple black leather and also have a cutout heel discretely embellished with a row of the label’s signature faux pearls. This biker-inspired look is sure to complement a feminine slip dress or an elegant mini-skirt. The ‘Maeva’ boots are another sleek design of Nicholas Kirkwood’s. The boots have been made in Italy using flexible stretch-suede that will adjust for skin-tight fit. The gold-trimmed curved heel is cleverly accented with the label’s signature oversized faux pearl, which will peak out with every step you take. 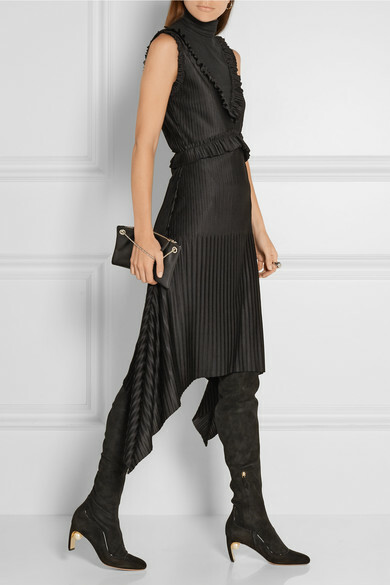 These elongating boots from Gianvito Rossi’s are made from a stretch-knit fabric that will provide a sculpted look. The boots are set on a block heel, and they have subtle perforations. Once they’re on, they won’t slouch or lose their shape. Why not try these elegant boots with skinny jeans or a trendy pencil skirt?